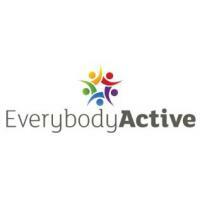 Representatives from clubs and organisations in Kirklees are invited to the latest Everybody Active Sport and Physical Activity Conference. The evening will provide a great opportunity to network, learn and work closer together. There will be workshops on funding, inclusion and volunteers. Representatives from clubs and organisations in Kirklees are invited to the latest Everybody Active Sport and Physical Activity Conference. The evening will provide a great opportunity to network, learn and work closer together with a range of workshops on offer.